Editor's Note: This is the third part of a short series of posts as I read Steve Jobs, the new biography of the Apple co-founder written by Walter Isaacson. 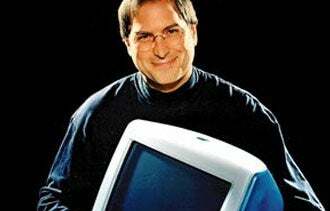 When Steve Jobs returned to Apple in 1997, the tech company he co-founded more than two decades earlier was on the brink of failure. During the final quarter of 1996, Apple's sales plummeted by 30 percent. Microsoft was the dominant computer company in the market. As Isaacson recalls in his biography on Jobs, a Fortune magazine story from that time said this of the company: "Apple Computer, Silicon Valley's paragon of dysfunctional management and fumbled techno-dreams, is back in crisis mode, scrambling lugubriously in slow motion to deal with imploding sales, a floundering technology strategy, and a hemorrhaging brand name." Fresh off a partnership deal with Microsoft that injected Apple with $150 million, one of Jobs' first goals as CEO was to review the company's sprawling product line. What he found out was that Apple had been producing multiple versions of the same product to satisfy requests from retailers. For instance, the company was selling a dozen varied versions of the Macintosh computer. Unable to explain why so many products were necessary, Jobs asked his team of top managers, "Which ones do I tell my friends to buy?" When he didn't get a simple answer, Jobs got to work reducing the number of Apple products by 70 percent. Among the casualties was the Newton digital personal assistant. Unfortunately, the cut-backs also resulted, in part, in a workforce reduction of about 3,000 employees. "Deciding what not to do is as important as deciding what to do," Jobs says in the book. "It's true for companies, and it's true for products." The move to a smaller product line and a greater focus on quality and innovation paid off. During Jobs' first fiscal year after his return, ending in September 1997, Apple lost $1.04 billion and was "90 days from being insolvent," Jobs says in the book. One year later, the company turned a $309 million profit. Jobs' plan also laid the groundwork for Apple's continued innovation. The company introduced revolutionary products including the iPod portable digital audio player in 2001, an online marketplace called the Apple iTunes Store in 2003, the iPhone handset in 2007 and the iPad tablet computer in 2010.